Buse, petite. Petite Buse adulte le 30 août 2010. Commun, printemps-automne. Nicheur. 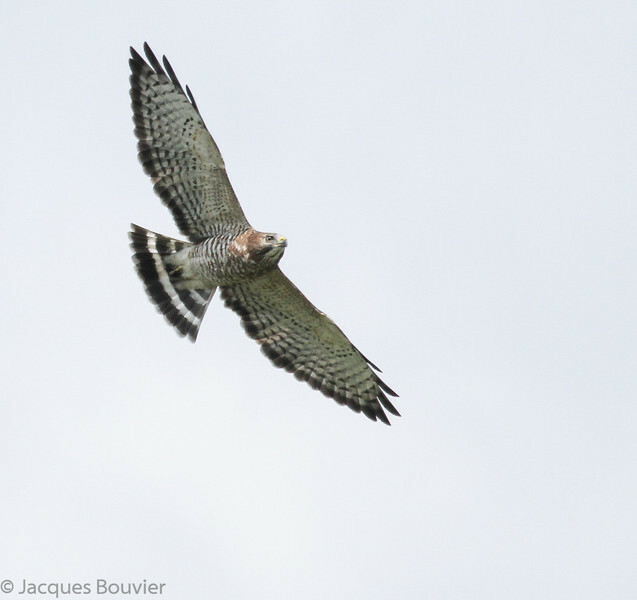 An adult Broad-winged Hawk on 30 August 2010. Common, spring-fall. Breeds.